What Car Should Be Made Forever? We got some awfully depressing news this week when Ford announced its acclaimed Boss 302 Mustang won't be making a comeback for 2014. Ford says they only ever planned to make the Boss 302 for two years all along, just like they did with the original in the 1960s. But that doesn't make us any less sad. 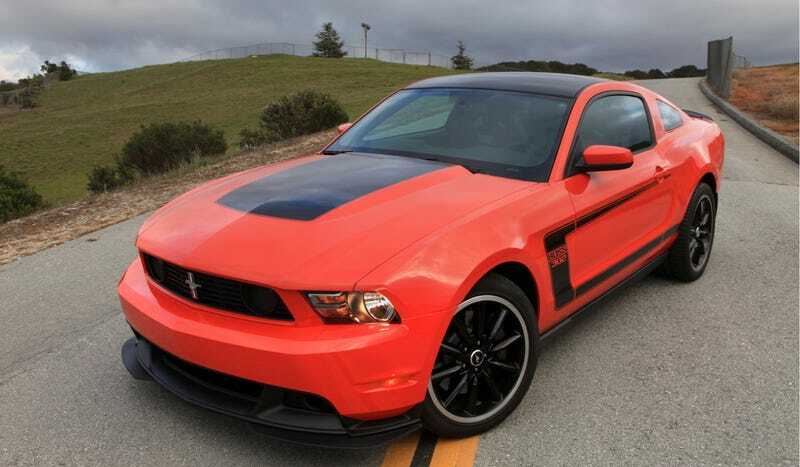 After all, the Boss 302 is one of the best muscle cars of all time, a 444-horsepower beast loaded down with performance goodies that made more than one publication label it an "M3 killer." It's sad we're losing something so potent. So if I were king of the world, I would enact a law that says the Boss 302 Mustang will be built in its current state forever. Forget the logistical impossibilities behind my decision, or its impact on the value of the car — I'm the king and I can do what I want! That brings me to my question of the weekend: What car would you want to be built, unchanged and in its current state, forever? It can be something old, something current, or something that has been long gone for a while. Come on, name a car that deserves to be around for the long haul. Some things are too great to die.